As Executive Director of First Lady Michelle Obama's Reach Higher initiative, Eric Waldo is working to inspire every student in the U.S. to take charge of their future by completing their post-secondary education, whether at a professional training program, a community college, or a 2-year or 4-year college or university. His role cuts across policy, advocacy, and community engagement to further the President’s North Star goal—that by 2020, the U.S. once again leads the world in terms of college graduates. Previously Waldo was Deputy Chief of Staff (DCOS) at the Department of Education (ED), where he helped lead and manage ED through President Obama's historic investment of $100B in education funding via the Recovery Act. This work created important investments around system-level, cradle-to-career changes for states, districts, schools, and communities. Waldo also helped manage the Department of Defense (DOD) global K-12 school system as the Co-Chair for the Advisory Council for Dependents’ Education, which advises and oversees the DOD schools. Waldo earned a J.D. from the University of Chicago Law School, an M.Ed. from Harvard University, and an A.B. from Brown University. He currently resides in Washington, D.C.
As First Lady Michelle Obama delivers her final commencement address of the season at Dr. Martin Luther King, Jr. Preparatory High School (King College Prep) in Chicago, IL, Eric Waldo looks back at the highlights from her 2015 graduation remarks. The First Lady traveled to Wayne State University to attend the first-ever citywide Signing Day Celebration in Detroit, Michigan for the College Signing Day initiative in support of Reach Higher. 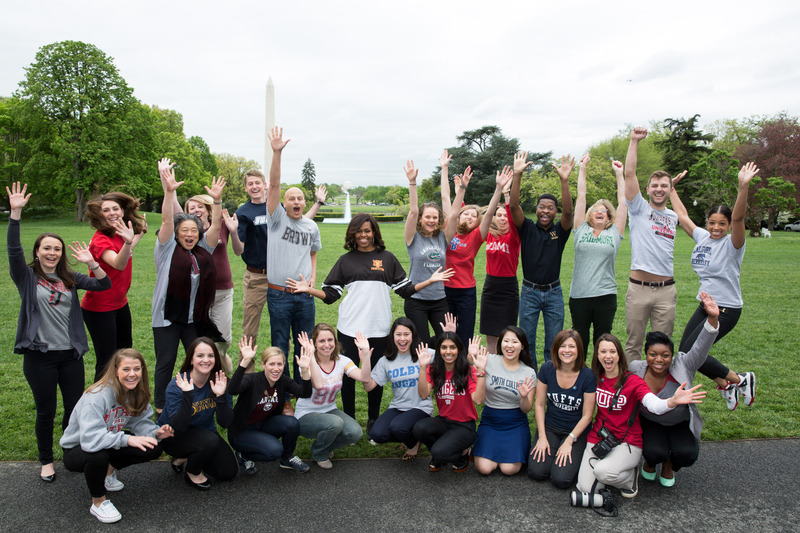 2014 has been an exciting year for First Lady Michelle Obama’s Reach Higher initiative. Here are our favorite six moments.